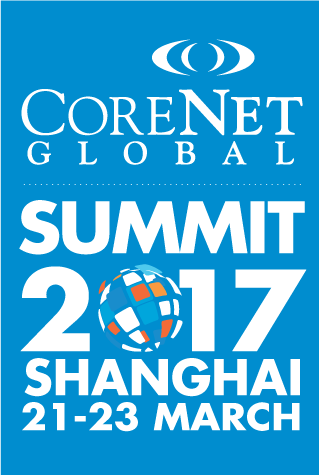 From 21-23 March, CoreNet Global will host a Global Summit in Shanghai, convening global leaders of the corporate real estate profession in the heart of Asia. The opening keynote speaker will be Azran Osman-Rani, CEO of ifllix Malaysia COO ifllix Group and former CEO of AirAsia X. We had an opportunity to ask Mr. Osman-Rani about his upcoming presentation and some of the key messages that he will be delivering at the Summit. CoreNet Global: What other tips can you share to preview your conference presentation? OSMAN-RANI: Idea killers: Top management demanding: “who else has done this idea?” “what are the best practices in the industry or what examples can we use to give us confidence that this idea will work?”. If you have answers to these questions, then by definition, you’re not pushing the envelope and doing something truly breakthrough. Disruptive innovation takes a lot of courage to leap into the unknown. The confidence that supports that courage comes not from a thoroughly researched “idea” and meticulous plan, but from jumping in, launching something small, and quickly getting feedback – and then changing the idea many, many times until the product/service really stands out. Our best ideas come from observing peculiar things about how customers get by with existing products and services, and what they comment or complain about – and being the first to launch something that specifically addresses that – from creating the AirAsia X Quiet Zone because we know people cringe when they sit next to a baby or toddler on a long-haul flight, or creating the Empty Seat Option because we know people hope and pray that the seat (or whole row) next to them is empty, on a long-haul flight. No other airline had created these services before us. I spend a lot of time engaging with customers, especially on social media and even dealing with the barrage of complaints directly. I find this experience is usually the best source of new ideas. The other important principle to an organization’s ability to move fast and be nimble, is if communication can flow both ways efficiently: top-down and bottom-up. The latter is where most corporate organizations struggle. Ideas and problems usually germinate from the front lines and the shop floor. But it’s hard for these ideas and observations to “float up quickly” for action to be taken. As leaders, one of our biggest roles is to create the means necessary to get unadulterated feedback. We cannot demand it. We have to earn it. It’s not enough to say “I have an open door policy – come talk to me anytime you have an idea or issue”. We have to undertake a number of specific actions that get feedback to flow, and it takes a while. Employees are always guarded and careful about speaking up. They will only start to trust us – over time- once they see that the environment to speak up is truly safe, and what they raise will get actioned on. Check out Part I and Part II of this conversation for more tips from Osman-Rani in this preview of his Summit keynote. The opening keynote session at the Summit will be held on 22 March, 2017.